How About a World Cruise With Princess Cruises in 2020? Cruise News Princess Cruises How About a World Cruise With Princess Cruises in 2020? Princess Cruises has revealed details on a stunning 111-day cruise from Fort Lauderdale, Florida in 2020 on Pacific Princess. This is due to popular demand for the 2019 world cruise. 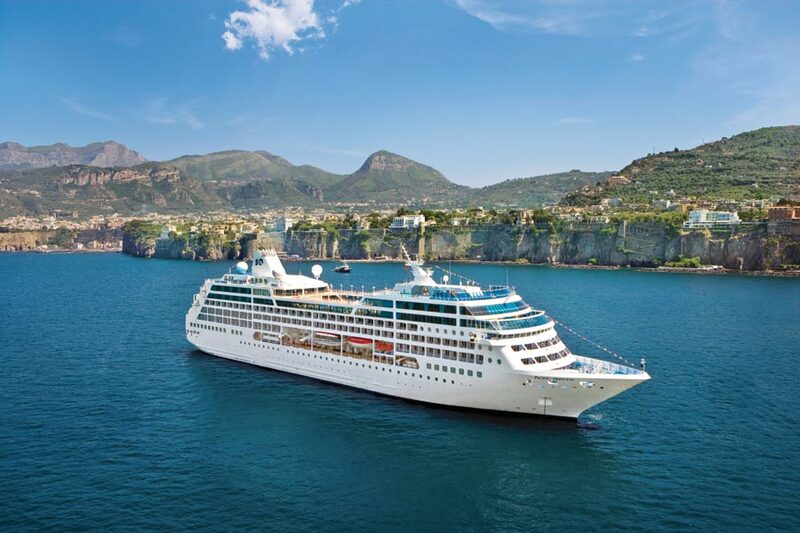 Due to popular demand for the 2019 world cruise, Princess Cruises has revealed details on a breathtaking world cruise in 2020 on Pacific Princess. Guests are going to be inspired by visiting 42 destinations on five continents with new experiences and adventures over 111 days. 111-day world cruise does sound good and many travelers would agree due to the popular demand of the cruise line’s 2019 world voyage but today we’re going to focus further ahead with Princess Cruises detailing the 2020 world cruise. 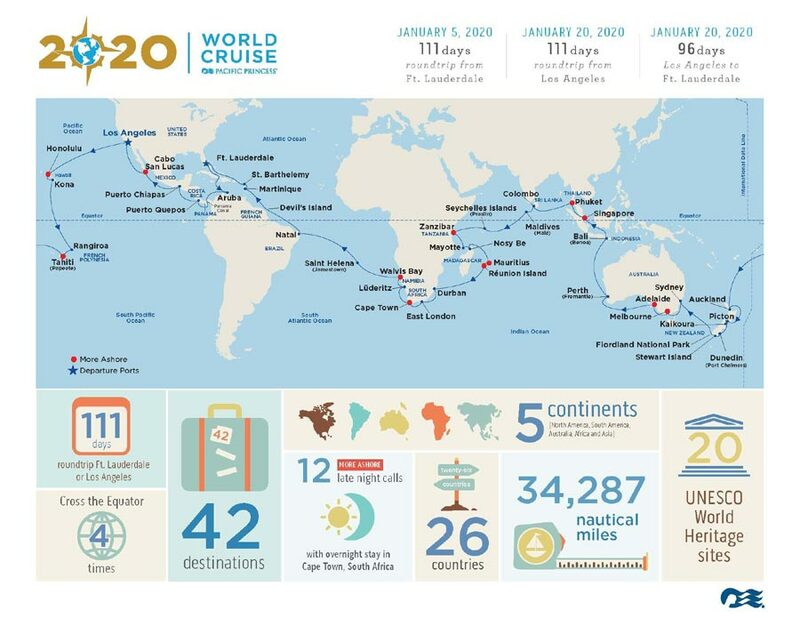 The voyage around the world will depart Fort Lauderdale on January 5, 2020, and from Los Angeles on January 20. The cruise will be including shorter segments which can be chosen if a 111-day voyage seems a bit too long. For the first time on this type cruise vacation, the Pacific Princess will include calls in Kaikoura, New Zealand; Praslin, Seychelles Islands; Mayotte Island, (French protectorate); and Zanzibar, Tanzania. The voyage will also include 12 late-night stays to maximize time in port, including Melbourne, Tahiti, Phuket and an overnight in Cape Town, South Africa. Pacific Princess will cover a total of 34,287 nautical miles over the 111 days. The 2020 World Cruise aboard Pacific Princess goes on sale on Wednesday, April 25, with rates starting at $22,999/person. Guests booking the 96- or 111-day World Cruise before March 31, 2019 receive early booking perks such as a $1,000 onboard credit per person for guests booking a balcony, mini-suite, Club Class mini-suite and suite; $500 onboard credit per person for guests booking an interior or oceanview and complimentary gratuities for any category. Past Princess guests are also eligible for a savings of up to $1,000 per person. Pacific Princess is a smaller more intimate vessel offering a luxury cruising experience. The ship only has a guest capacity of 670 at over 30,200 gross tons.